While the Hiram M. Chittenden Locks (better known as the Ballard Locks) was built in the early 1900s for a few different reasons, it’s most popular with locals and tourists to watch boats passing through the locks and salmon swimming through the fish ladder. It’s open year round, but mid-to-late summer is the peak time to visit and see the fish swimming and jumping in the water. Boats wait for the locks to open up so they can continue to Puget Sound. 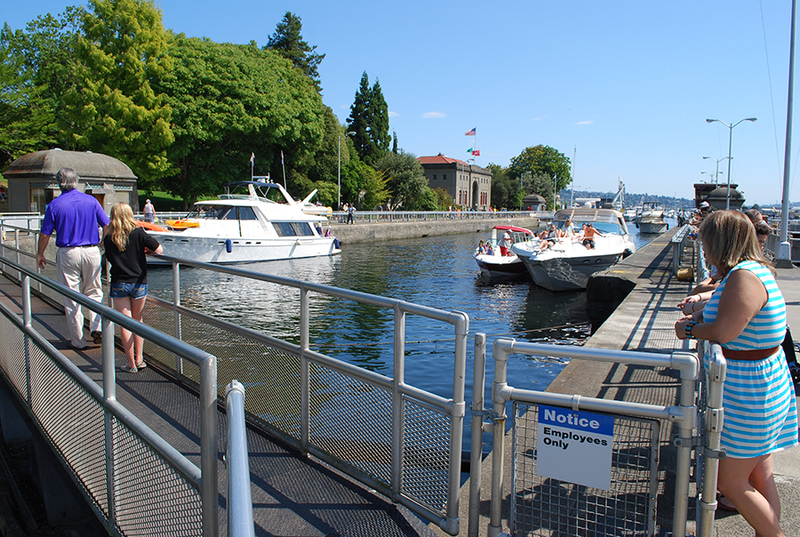 The Ballard Locks were built to create a barrier and passage way between the Puget Sound (salt water) and the Ship Canal, Lake Washington and Lake Union (all fresh water). The locks allow boats to travel back and forth between the bodies of water, as well as keeps the two types of water from mixing. In addition, the Ballard Locks also maintains the water level in Lake Union and Lake Washington (practically acting as a damn). Since Seattle is a major port city along the West coast, the Ballard Locks have played a big part in the city’s history. Today, you can watch boats pass through the locks. With water levels lowering and rising to allow the boats to pass from one body of water to the other, it’s quite a unique production. I’ve never seen anything like it before. Fish swimming and jumping right before they go through the fish ladder. While watching the boats is a lot of fun, my favorite part of the Ballard Locks is seeing the fish. Salmon begin their lives in lakes, rivers and streams, and then head to the salt water for a majority of their life. When it’s time for salmon to spawn (as they near the end of their lives), they return to their fresh water roots. This is all important because the Hiram M. Chittenden locks blocked that natural migration passage way for salmon when it was built. 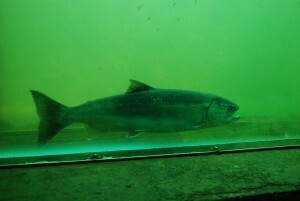 To help facilitate the salt water/fresh water transition for the salmon, the Ballard Locks built a fish ladder. There’s now clear passage for salmon through the locks. 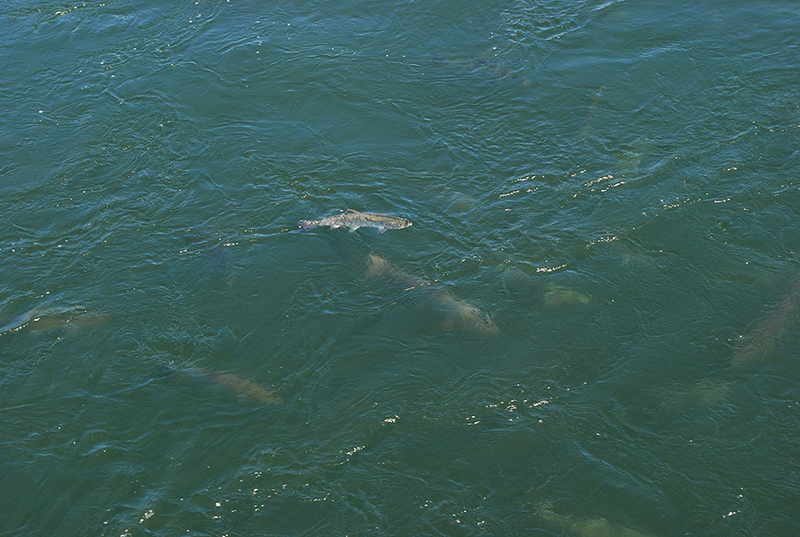 If you visit the Ballard Locks in mid-to-late summer, chances are you will see hundreds of fish swimming up the ladder. On our most recent trip there, Tim and I spent a long time looking over the ledge of the path to watch the fish swim. 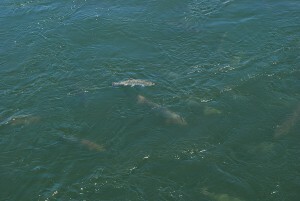 I’m not exaggerating when I say we saw hundreds of fish, and some of them were huge! We also spotted quiet a few of the salmon jumping out of the water. The observation room at the Ballard Locks. 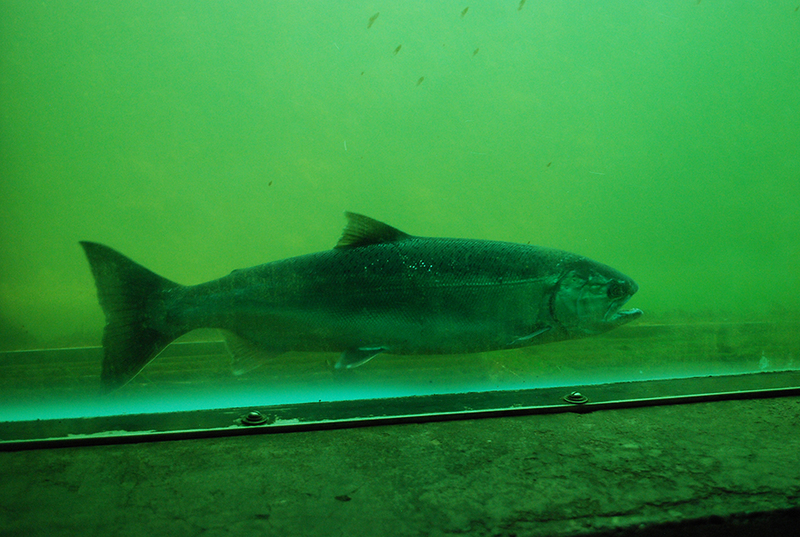 You can also get an up-close look at the salmon going through the fish ladder in an underwater observation area. 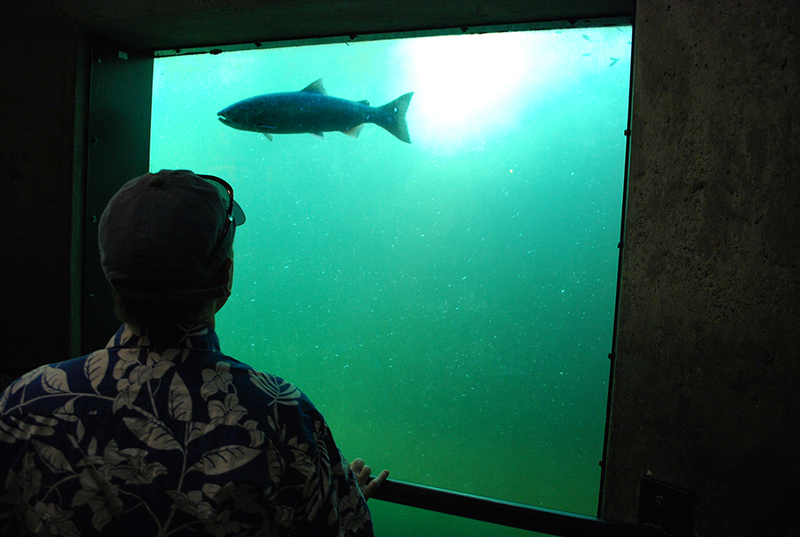 You can walk along the windows and follow the fish as they migrate through the fish ladder, or you can take seat on the concrete benches and watch the fish for a bit. It’s really neat to see the fish at eye level as they fight to make it through the ladder. There are actually four different types of fish that pass through the Ballard Locks: Chinook, Sockeye, Coho and Steelhead. There are signs next to the observation windows to help you distinguish the different types of fish from each other. Tim remembers taking field trips to the locks when he was a kid, so it can be a very fun, educational experience if you want it to be. A fish swimming through the fish ladder. Another great part about the Ballard locks is there is plenty of space to hang out for a bit. There are parks, benches and grass on both sides of the locks. You can bring a picnic, lay out in the sun, or simply watch the boats pass by. Since there are often hundreds of salmon in the area, harbor seals usually frequent the locks (as they hunt for a meal). The Ballard Locks is a great place to spend part of the day, see a part of Seattle history, and watch Mother Nature at its best. Tim and I have visited a few times. Even though our timing hasn’t been the best on all those trips (and we didn’t see that many fish) we’ve always had a great time. 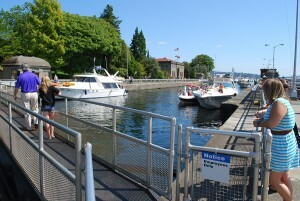 Have you ever visited the Ballard Locks? What did you think? We’d love to hear from you! Please leave a comment below and connect with us on Twitter, Facebook and Google+. 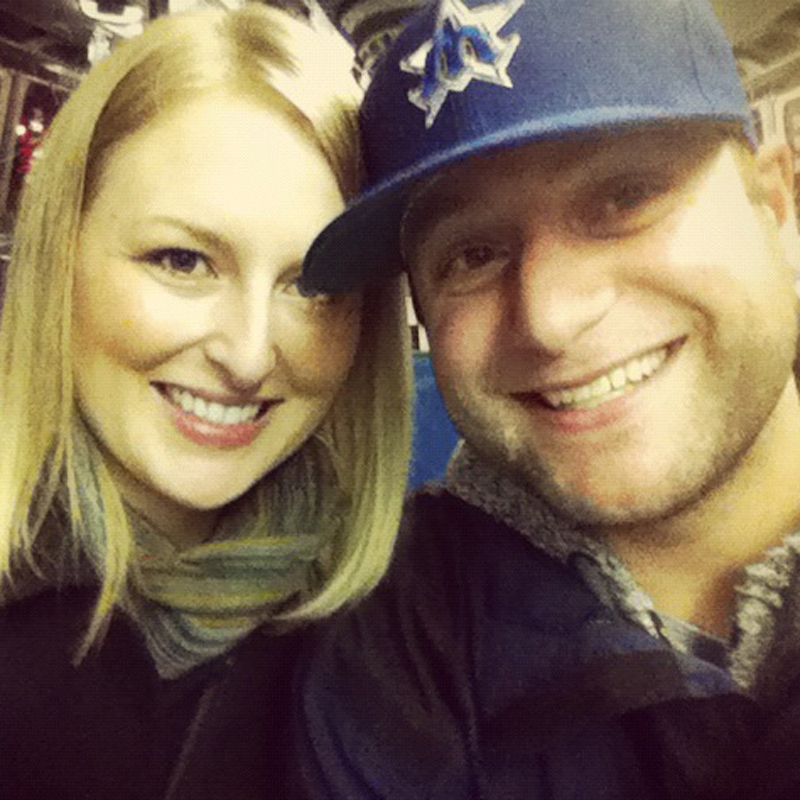 Don’t forget to also check out Seattle Bloggers for more cool things to check out in Seattle and around Puget Sound!